Is Jitterbug compatible with Verizon’s network? Does Verizon offer Jitterbug phones? Does Verizon offer Jitterbug smartphones? How much are the Jitterbug plans? Below we’ll answer these questions and tell you more about the Jitterbug phones. Jitterbug phones are designed by manufacturers like Samsung and LG and offered by GreatCall. The Jitterbug phone starts as an easy to use flip phone that is preloaded with simplified menu and safety features to keep the senior citizen safe at the emergency. Now GreatCall offers the Jitterbug Flip and a simplified smartphone called the Jitterbug Smart. Check out the Jitterbug Smart2 reviews. Check out the Jitterbug Flip review. GreatCall uses the Verizon’s network to provide the service to Jitterbug phones. So, Jitterbug phones are CDMA phones, but they locked to work with GreatCall only. That means the phones need to unlock to work with Verizon wireless or any of its MVNOs. Does Verizon offer Jitterbug phones or smartphones? The answer is no. Verizon offers many basic and flip phones that are not designed for seniors but are simple phones for seniors. Also, Verizon Wireless offers many mid-range and flagship smartphones. Jitterbug plans start as low as $15 per month for 200 anytime minutes. Also, you can add a separate text and data package. Also, you can add a health & safety package, which is great services for seniors and is not offered by almost any other service provider except GreatCall. 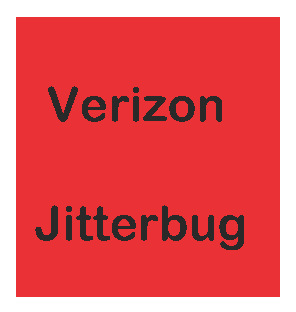 Before you leave the Verizon Jitterbug article check out the full Jitterbug plans review.